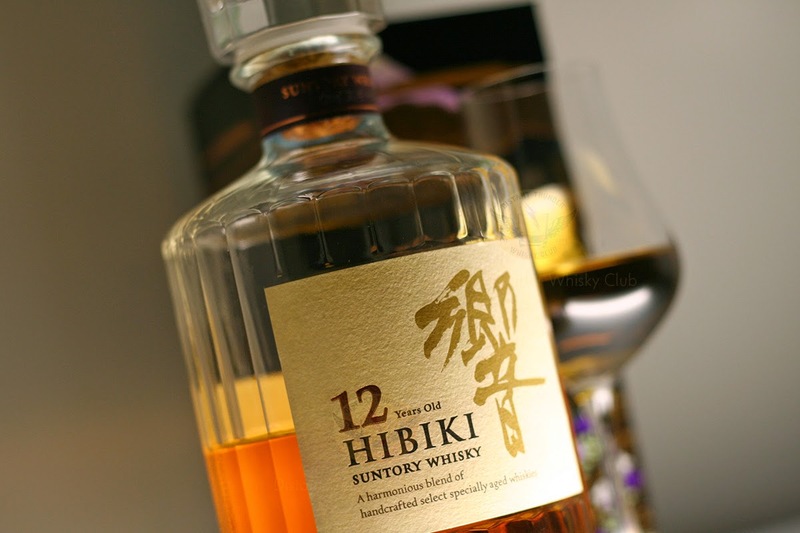 The first time I drammed and reviewed the Suntory Hibiki 12yo was back in December 2011 with a sneaky purchase through Master Of Malt's Drink By The Dram. Prior to that I had experienced the love that was Hibiki 17yo on many an occasion. Now, with a recent trip back to Japan, I took the liberty of stocking up on my Japanese whiskies and it is high time this bottle was cracked, sampled, and reviewed. As you will see from the photo I have given this whisky a good hard slug over the last week and I have to say I am loving it. Before we commence though my previous post was not so complimentary and I had noted sediment in the 50ml sample I had acquired through Master Of Malt. I can happily say there is no sediment in this bottle and the colour is pure, while the flavour and texture is quite extraordinary. Suntory Hibiki 12yo is a blended Japanese whisky. Suntory of course have a array Single Malts and Vatted Malts but all whiskies in the Hibiki family are blends. Though I do not know much about where the whisky that makes up this lady come from, Suntory do state that some of the malted barley is aged in plumb brandy barrels (a profile you will clearly experience and if not get out and try some Japanese plumb brandy prior), while including other barley and grain aged for a minimum if 12 years but anything up to 30 years. Suntory tend to speak about the Hibiki family in terms of "embodying delicate sensitivity". The Hibiki family is marketed as premium whisky and I think you will find that is true in every sense of the word. Looking at the dent in the hip pocket, no need to be flustered, this expression in Japan will set you back just $35 - $40 AU duty free. Really it can't be beaten as the Hibiki 17yo is double that. If your going to be traveling to Japan soon and need the lowdown on being this whisky in Japan or at the air port you had better check out my earlier post In And Out - Buying Whisky Duty Free In Japan. Like all of the Hibiki's this expression comes in the signature 24-facet bottle, making a great centre piece to any whisky spread. Heavy to handle the faceted bottle is meant to symbolise the unique 24 season Japanese lunar calendar. A stand out bottle regardless of meaning and instantly recognisable. For those that saw the classic movie Lost In Translation you will instantly recognise the Hibiki bottle as it saw many a product placement throughout the flick. 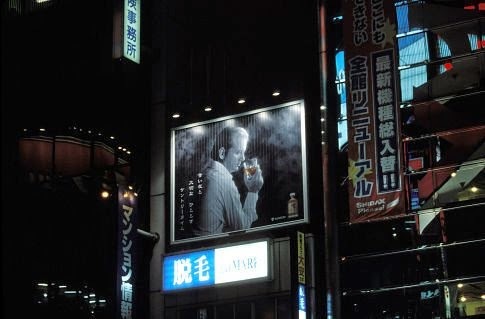 Yeah alright how can you not mention Lost In Translation post 2003 when speaking about Suntory Hibiki? For me it is one of my Whisky Movies I just have to have a dram in hand when watching. Nose: Rich sweet caramel, mellow char toasted oak, honey, fresh straw, butters, flowers and plum jam. Just like last time I find the nose an amazing sensual experience. Truly one of those drams that just keeps on repeating a winning hit. Taste: Soft and smooth that quickly releases a spicy citrus zest across the tongue and palate. This whisky becomes much more fruity after the first dram as the plumb jam effect mellows releasing apples and raspberries to move back and forth. A complex mixture of excitable notes. The malts are strong and there is no overhang of sharp sweet grains. Finish: Much like last time I find it longish, dry and spicy, with an oily metallic tint if you allow the whisky to fall below your tongue. Not fantastic in comparison to the nose. Overall: I have enjoyed this much more than previous and would certainly buy it again. Not as complex as the 17yo Hibiki but it has a charming character making it a unique blend amongst world whiskies. The nose depletes fast after a dram so savour the nose as long as you can (something I discovered previously also). If I was to give a dram 5 3/4 out of 7. Great balance especially in the flavour and nose even if the finish can be a bit of a let down. So yes I am just a hopeless romantic for whisky, Suntory Hibiki and all things Japanese. I do not think this is going to stop anytime soon as I have a bottle of Suntory Hibiki Mellow Harmony to also open, so you will be hearing more about the Hibiki line soon.